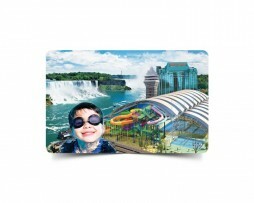 Buy Roots gift card, one of your favorite branded apparel, accessories, leather goods and more from muskbird.com. Or you can send Roots gift card to your loved ones or friends & family with free personalized message during muskbird’s user friendly checkout process. For online use, select 'Redeem a Gift Card' at checkout and enter the code and pin from the back of the card. In store use, present gift card at time of purchase to Employee and he/she will do rest of the process to use gift card as payment option. The amount of the gift card will then be applied towards their purchase and removed from the gift card after checkout. The balance will remain on the gift card until it is redeemed. To check the balance of your gift card click here. This Roots Gift Card may be redeemed at roots.com for purchases made in Canadian dollars on the Canadian site and all participating Roots, Roots 73, and Roots Home stores. Purchases will be deducted from the Roots Gift Card amount until the value reaches zero. The value on your Gift Card is non transferable and cannot be redeemed for cash unless required by law. If a refund is requested for merchandise purchased with your Roots Gift Card, a new gift card will be issued. Your Gift Card cannot be refunded. You can use a second method of payment to complete the purchase if your gift card doesn’t cover the entire cost of the product, excluding PayPal.You can also use up to five gift cards to complete a purchase. Gift card Balances cannot be transferred from one gift card to another. Gift Cards purchased in Canada can only be used in Canada. Likewise, Gift Cards purchased in the US can only be used in the US. * Roots Gift Card, Logos, Slogans And Related Marks Are The Property Of Roots Canada.